BERLIN, July 5 (Reuters) – Thyssenkrupp Chief Executive Heinrich Hiesinger, has asked to step down less than a week after sealing a joint venture deal with India's Tata Steel that had prompted criticism from some investors. After two years of at times fraught talks, the two steel firms last Saturday signed an agreement to create Europe's second-largest steelmaker. But activist shareholders Cevian and Elliott had criticized some terms of the deal and also expressed misgivings about Hiesinger's efforts to restructure the group. Hiesinger had faced pressure from Cevian and Elliott to extract more commitments from Tata Steel, whose European business has performed worse than Thyssen's since the agreement was first announced, creating a valuation gap. 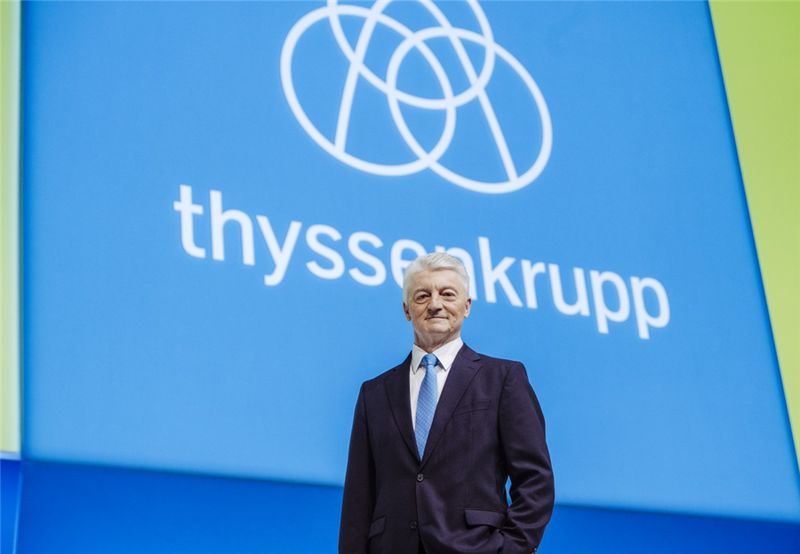 Thyssenkrupp has also faced repeated calls to simplify its complex structure, which covers everything from elevators to submarines and car parts, and cut down on corporate expenses to get rid of what some investors have labelled a conglomerate discount. Thyssenkrupp's supervisory board will meet on Friday to take a decision on the request from Hiesinger, a former Siemens executive who took the helm of the Essen-based group in 2011, the company said in a statement published on Thursday after trading hours. "Without Heinrich Hiesinger there would be no Thyssenkrupp today," Chairman Ulrich Lehner said in a separate statement. "I am deeply grateful for what he achieved."